No matter what your requirements are when it comes to fire alarm systems, you can be confident you’re in good hands at G&R Electrical Wholesalers. We’re proud to offer full fire system design, from residential through to large commercial systems, and we’re able to consult either on-site or directly from plans. 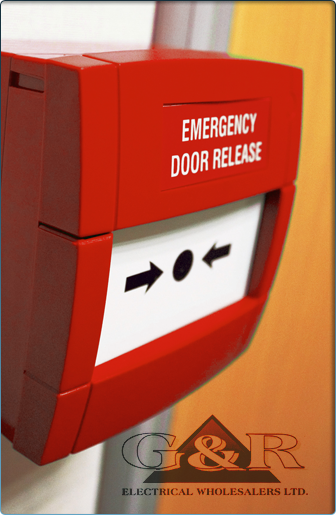 Available with same-day delivery, we’ve got a huge range of fire alarm equipment including conventional, twin-wire and full analogue address systems, meaning we’re your number one choice for fire alarm systems. To complete the package, our lighting expertise means we’re happy to offer emergency lighting design as part of any project too – so contact us now to discuss your fire safety needs. Whether it’s at home, a commercial office or in an industrial setting, there’s nothing more important than fire safety – and for fire alarm systems Plymouth and Redruth can trust there’s no better supplier than G&R Electrical wholesalers. Offering top quality products with same day delivery, as well as full fire system designs, the years of experience at G&R are sure to deliver any project on time and on budget. Providing the simple residential and large commercial fire alarm systems Plymouth and Redruth have come to rely on, G&R Electrical are adept at developing systems while on-site or from building plans. In combination with the alarm systems themselves, our trained consultants can provide emergency lighting design to go hand-in-hand, delivering a full fire system with brilliant cost efficiency and expertise. With an excellent reputation for installing the fire alarm systems Plymouth can have faith in, G&R Electrical have a massive stock holding of fire system equipment, including conventional, twin-wired and fully analogue address systems. This means that not only can we provide the expertise gained from a wide range of successful installations, but we also have the equipment you need to complete any task efficiently and to the highest standard. Where G&R Electrical differ from the other fire alarm systems Plymouth and Redruth have to offer is our high standard of customer service and attention to detail. We work hard to ensure that you only get the best products, but we don’t stop there. With your business always at the heart of ours, we are dedicated to your happiness and won’t stop until you are completely satisfied with your product, service or installation – and that’s a promise. Reaching out to G&R Electrical for any project couldn’t be easier – but with a speciality in the fire alarm systems Plymouth deserves for its safety, we’ve got the experience and products you need. We’re confident that we can deliver a project exactly to your requirements either on-site or from building plans, so for an electrical wholesaler and service provider you can trust, look no further. Contact us now via telephone for our fastest service, visit our fire alarm systems Plymouth or Redruth branches for our full customer service experience, or send us an email if you’ve got a more detailed question and we’ll get back to you as soon as possible.